The pieces are 18" square, or triangular depending on how you look at it. About 1/2" thick. 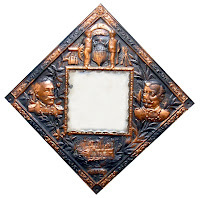 The items are each 18" square with a scalloped mirror 8" square in the center. 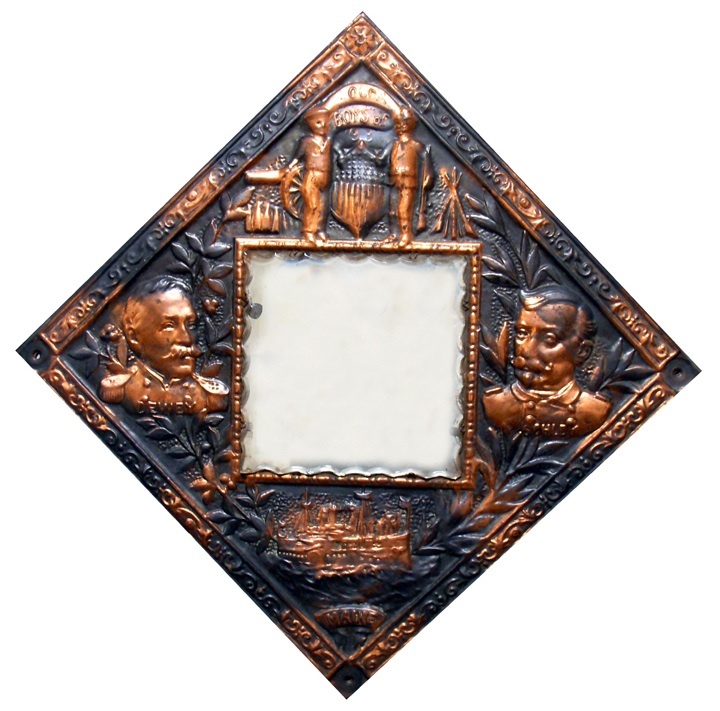 One piece has Adm Deweys image and the top image and has a sailor and a soldier and underneath it says "Our boys of '98" and the other two images are Adm Shley and the USS Maine. 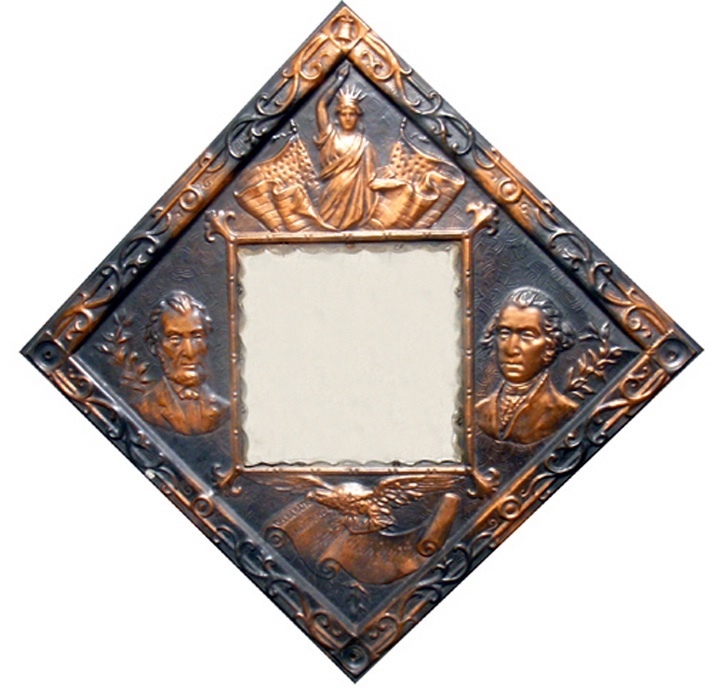 The 2ndpiece has image of what look slike Lady Liberty, Abraham Lincoln, George Washington and Declaration of Independence. 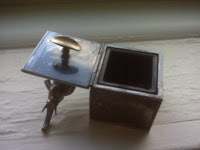 The metal is copper or tin, I don't know. I would love to know what it is. Thanks, John. 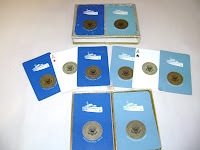 I have a double deck set of playing cards with box bearing not only the Presidential Seal but the Official Seal of the Presidential Yacht. They are a powder blue and dark blue set and from what I know were from the Nixon era of the Yacht. Can someone tell me what they are worth? If you can provide information please click on the comment button or email us at appraisals@loriferber.com and we will be happy to pass the information on to George. I have what i think is a very old, unique republican memorabilia item. 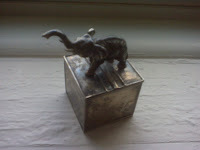 I have no idea how old it is, other than it was always sitting on my father's desk in his office since I was a child and I am now 50. He was very active in GOP politics. I purchased this 1892 Republican National Convention pin from a small town antiques dealer and a heated debate has developed amongst me and my co-workers as to its value. I would appreciate getting your opinions.